Insurance implies a contractual arrangement between two parties, i.e. insurance company (insurer) and insured, by which the insurer, in return for a fixed sum (premium) commits to compensate the insured for the loss sustained or damage caused on the occurrence of a certain event. The document which covers all the details of the contract is called as an insurance policy. Life insurance is a contract that protects against the risk of life. 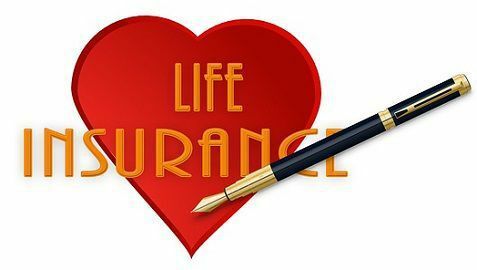 Gradually, the scope of life insurance has widened and now plans like health insurance, disability insurance and pension plans are in vogue. It is no wonder that life insurance and health insurance are misconstrued but they are different as in health insurance is the insurance policy that compensates the cost of medical bills, in case of illness or accident. In this article, we’ve simplified the difference between life insurance and health insurance. Meaning Life insurance is an insurance that covers the risk of life and pays out an assured sum on the happening of the specified event. Health insurance refers to a type of general insurance, which covers the medical expenses of the insured, but only up to the amount covered. Benefit Both survival and death benefits. Treatment and medical benefits. Life insurance, as the name suggests is the insurance agreement, whereby the insurance company agrees to pay a definite sum either on the demise of the insured or the expiry of the stipulated term to the nominee, in return for a specific sum (premium) paid by the insured, either in the lump sum or at regular intervals, i.e. instalments. The sum assured may be paid to the nominee or the insured in a lump sum or instalments, i.e. annuity, on the maturity of the policy. As the occurrence of the risk insured is certain and so the insurance company is bound to pay the amount assured, sooner or later, so the life insurance contract, is also known as life assurance. Whole Life Assurance: When the sum assured is to be paid on the happening of the certain event, i.e. death of the insured, then it is called a whole life assurance. Term Life Assurance: On the maturity of the life insurance policy, the amount is paid in one shot to the policyholder. Annuity: When on the maturity of the policy the sum assured is paid in instalment, usually monthly, it is called as an annuity. Health insurance is a contract between the insurance provider and the insured, who can be an individual or a group such as family, employees of an organization, etc., wherein a specified insurance cover is offered by the insurer, on the payment of premium, provided terms and conditions of the agreement are satisfied. It is a type of personal insurance, offered by non-life insurance or general insurance companies, in which hospitalization expenses are compensated. In health insurance, either the amount spent is reimbursed, or cashless service is provided through tie-up arrangements, with a network of hospitals, throughout the country, but only up to the amount covered in the policy. It covers room expenses, nursing expenses, fees of surgeon, physician, specialist, consultant, etc., medical bills, operation theatre charges, x-ray, dialysis, and so forth. Life insurance, as the name suggests, is insurance plan that covers the risk of contingencies that can affect human life and pays out the sum assured to the nominee on the death of the insured, or to the insured on the expiry of the definite term. Conversely, an insurance product, taken out by an individual, to compensate the cost of medical and surgical expenses, but only up to the amount covered, is called as health insurance. In life insurance, both survival and death benefits are provided to the policyholder. On the contrary, health insurance provides treatment and medical benefits, in case of illness or accident. The premium for life insurance can either be paid in lump sum or periodic intervals, usually quarterly. In contrast, the health insurance premium is paid in lump sum for the whole term. An assured amount is paid to the nominee on the demise of the insured or the insured on the maturity of the policy, in life insurance. However, in case of health insurance, no money is recovered, if the term of the policy is expired instead it is reimbursed in case of any health issue. Life insurance is usually taken for a long-term say 10 or 20 years. As against, health insurance is taken for the short term, say 1 or 3 years. By and large, in a life insurance policy, the nominee or the insured, get the sum assured on the demise of the insured or the expiry of the term for which policy is taken. In health insurance, no return is paid to the insured at the end of the term, instead, in case of any medical emergency, the medical expenses are either reimbursed or cashless treatment is provided, subject to the amount covered. Thanks, your all posts are very informative. keep doing.